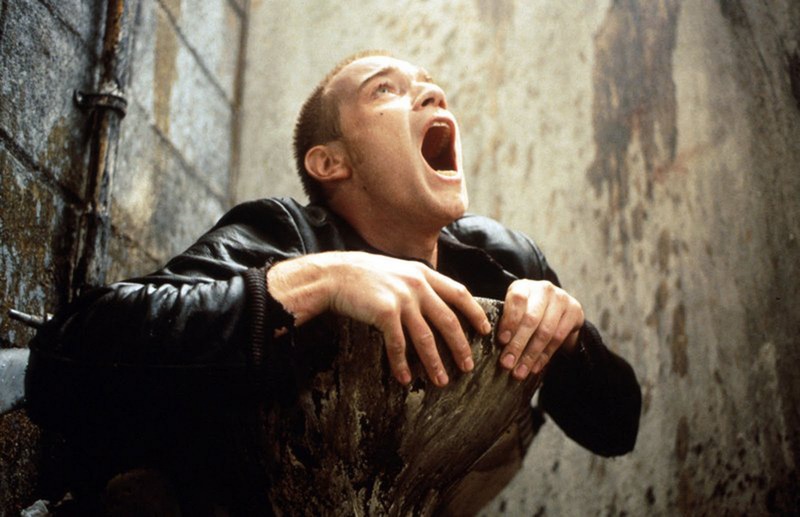 Given the country’s impressive list of actors (Sean Connery, James McAvoy, Ewen McGregor), directors (Bill Forsyth, Kevin McDonald), writers, composers, it should come as no surprise that the country has been the subject of many wonderful pieces of cinema. If film critic extraordinaire Mark Kermode claims that “[he] shed a tear within the first 10 minutes, and spent the rest of the movie beaming like a gibbering, love-struck fool”, then it’s understandable that The Proclaimers’ jukebox musical has a power attached to it not often seen in other musicals. This added facet comes from the film´s glimpse of everyday Edinburgh inhabitants, their niceties and colloquialisms on display. Where Julie Taymor’s “Across The Universe” took the questionable decision to set The Beatles ode in America, Fletcher keeps his focus and story on Edinburgh, Charlie and Craig Reid ‘s original home, giving a characteristic the band would have approved of. Ceilidhs, the National Art Gallery and “Princes Street Garden” feature with aplomb. Despite the various love stories permeating the film, “Sunshine”, is, in effect, a love letter to Scotland s capital. Dexter Fletcher’s film is a nice piece of succulent family entertainment, with a touch of sweeteness that, thankfully, avoids doses of Disney-lite saccharine themes. With songs written by The Proclaimers, the soundtrack is also a cracker. Keep an eye out for the Reid twins-their cameo is a worthwhile asset to the film. Vigilantism isn’t normally condoned in everyday society, but in the world of cinema, it is a trait of great popularity with audiences, as everyone from Zorro to Robin Hood to Batman are celebrated as heroic icons. 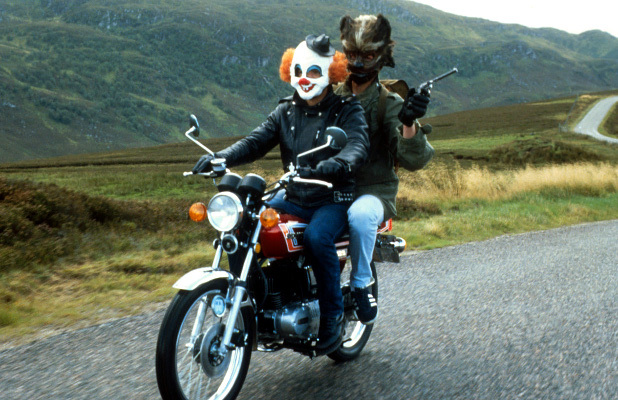 Michael Hoffman’s mid-eighties low budget comedy subverts this idea of vigilantism further, with the subject of two Edinburgh natives running around the Scottish highlands as a pair of highwaymen. Dressing themselves as their alter egos, Clown and The Wolfman, the pair become media darlings, their escapades taken with wit and good humour. It’s a charming family film, Michael Hoffman´s delicate recreation of everyday Scottish colloquialisms (“cannae”, “ladd” etc.) gives the film an authenticity to it, perhaps the reason why the film struggled to find an audience outside of its native land on release. Stuart Adamson’s stellar soundtrack needs an individual shout out, composing what he did best with “Big Country”, soft rock songs with Celtic melodies, giving the soundtrack a quality both traditional and contemporary, his modulated electric guitar lines as real as the sound of bagpipes the six stringed instrument is likely to muster. While the film’s tonality and story may have dated since its release, “Prime” still carries its message across with minimal effort, largely due to Maggie Smith’s exemplary performance, one she deservedly won an Academy Award for. Brodie, a diligent school teacher, takes great pride in her teaching ability and enjoys a fruitful relationship with her four junior school students. Enjoying a liason with Mr. Lowther, Brodie’s tears as she juggles her professional and romantic life, an apportionment that inevitably loses her lover to another staff member. Much like the work of Noel Coward, Muriel Spark’s story has a demure quality to it, one that seemed passe even by the turn of the seventies, but it’s so beautifully conveyed, it is hard to fault it. As the film ends with Smith´s refined voice-over, Brodie declares “Little girls, I am in the business of putting old heads on young shoulders, and all my pupils are the crème de la crème. Give me a girl at an impressionable age, and she is mine for life.” As genuine an indictment of the film’s qualities as anything else. As well as being one of two horror movies to make this list, “Skin” is certainly the most cerebral film, a stylistic piece that relishes on its use of visuals, particularly in its spotlight of Scarlett Johannson as the ethereal being, who´s seductive skills makes her an ideal pursuant. Taking the classic tale of a hunter collecting hitchhikers as prey, director Johnathan Glazer subverts the normal stereotype, with the film´s femme fatale kidnapping male hitchhikers as they drive from Glasgow. To add to the film’s indelible dread, many of those playing men met by The Woman were not actors, but ordinary Scottish men filmed by hidden cameras; their reaction a confirmation of the genuine fear the film conveys, embellished by Mica Levi´s haunting score. A film that took a decade to develop, it underperformed at the box office, falling far from its 13 million dollar budget, but became a critical success, praise showered not least from LA Weekly, who claimed “ we may finally have an heir to Kubrick”. Ken Loach has an affinity with the everyman. Never a director who glorified monarchal colonialism or upper class elitism, Loach’s C.V encompasses Spanish Civil War epic “Land and Freedom”, building drama “Riff- Raff” and Paul Laverty penned Scottish tales. “My Name Is Joe” was a fine film, but “Sweet Sixteen” proved to be Loach’s great Scottish movie. Liam, a sixteen year old troubled youth, lives with the knowledge that his mother will be released from prison. Wondering how to free her from her violent partner, Liam and sister Chantelle think a Cloch Caravan Park is a better place to hold their mother. As a foray into crime leads him further and further into the world of crime, Liam enters into a world of Glaswegian night clubs, gangs and perforated stabbings. The film features a number of obscenities, which resulted in the BBFC awarding an 18 Certificate on the finished product, a certification Loach and writer Paul Laverty took public objection to. In an interview, Laverty claimed “I spoke to literally hundreds of kids, hundreds of different people who were very generous and opened their homes and shared their experiences with us. The film is not copied from them, but informed by them” and felt the certification bereft these teenagers a chance to watch a relatable story. Further cinematic censorship arrived in the form of subtitles to transmit the supposedly inaudible Glaswegian accents. 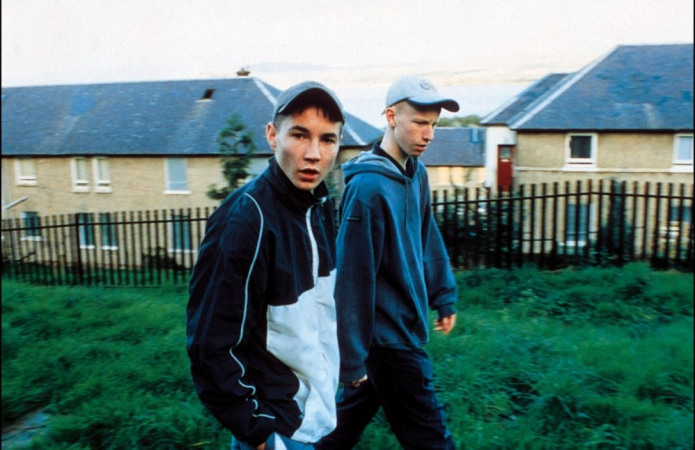 Arbitrary certification or not, the film still works as an examination of the impoverished Scottish society, utilizing the pseudo-docu skills Loach has spent forty years perfecting. Although not a Scottish film in the traditional sense (it opens and closes in London, centring on the ostensibly English Richard Hannay), “39 Steps” proved highly influential in showing how Scotland should look on celluloid. A thriller of the highest quality, the film´s director, the still relatively unknown Alfred Hitchcock, chose to inject his film with humour, steering a film with its tongue firmly placed in cheek. This move proved popular; author John Buchan thought it a superior work to his novel. Following a Music Hall performance, Richard Hannay (Robert Donat) is accosted by a lady proclaiming to be a secret agent. Sheltering her, Hannay finds himself a fugitive on the run after his vacationer is murdered. 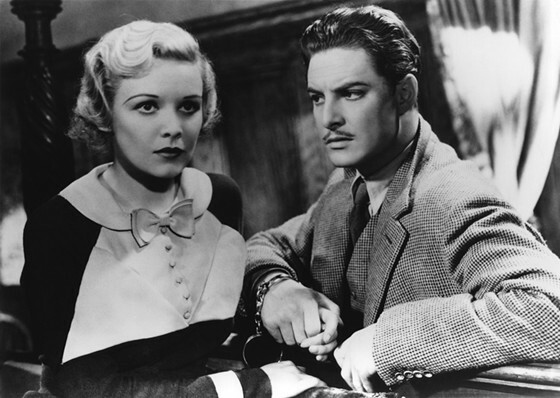 Fleeing to the Scottish Highlands, he involuntarily handcuffs the voluptous Pamela (Madeleine Carroll) to his side as they run from river to river, croft to croft, bridge to bridge, hoping to find the truth behind the senseless killing. In many ways, the movie proved a watershed in film making. It gave Hitchcock his first masterpiece, the spy genre their archetype and a basis to show Scotland at its finest. The film´s centre-piece, as Hannay and Pamela hide themselves behind the mountains murky shadows, holds up well today as a tense scene par excellence. “39 Steps” would be remade twice, though neither proved to be of particular note. 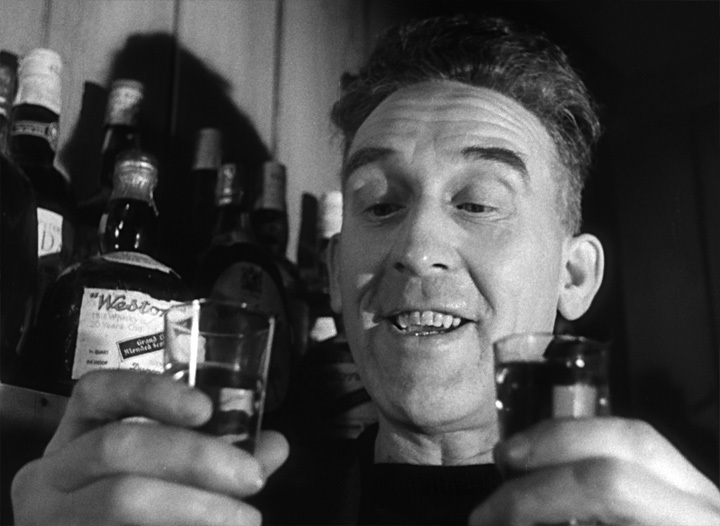 With a screenplay co-written by Scottish National Party founder Compton MacKenzie, “Whisky Galore” has as Scottish a wit to it as could ever be. One of the more inspired Ealing Comedies, “Whisky Galore” has an oft sought after authenticity; its reasoning in part due to the film´s basis on an actual 1941 shipwreck. As the inhabitants of Todday, in the Outer Herbides, find their whisky supply has run out thanks to war time rationing, their mood sours until a sinking freighter crashes down with 50,000 cases of their beloved whisky. What happens next is a battle of wits between the islanders and crusty English Commander Paul Waggett (a never better Basil Rathford) over the future of the cases. Typical of Celtic situated cinema, the film bases itself on that most commonplace of motifs; alcohol. Stylistically, the film could be watched as a political partition between the Celtic vagabonds and British authorities, in the classic Celtic tradition of Burns, Yeats and O’Brien. There are others may watch it as the quintessential Anglo-comedy with a Scottish twist. Others may regard as a romp par excellence. However a viewer wishes to watch it, it is still hilarious entertainment.